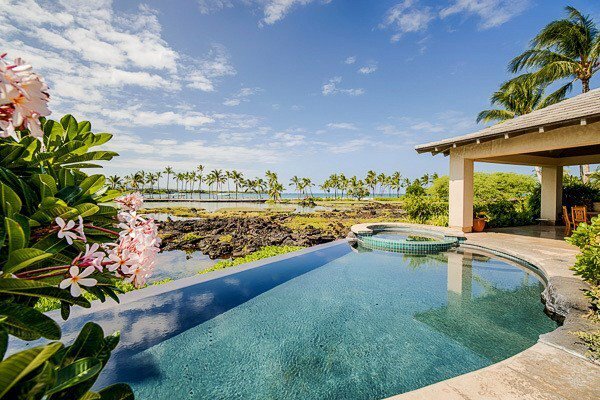 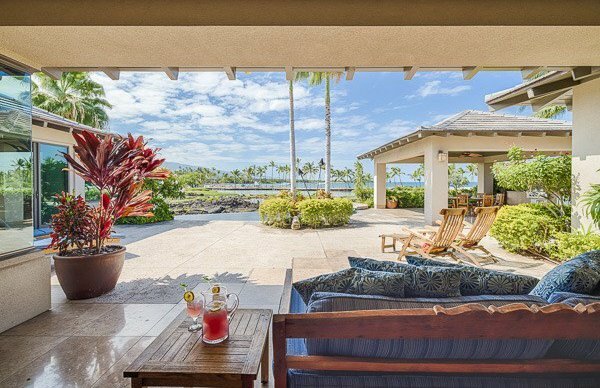 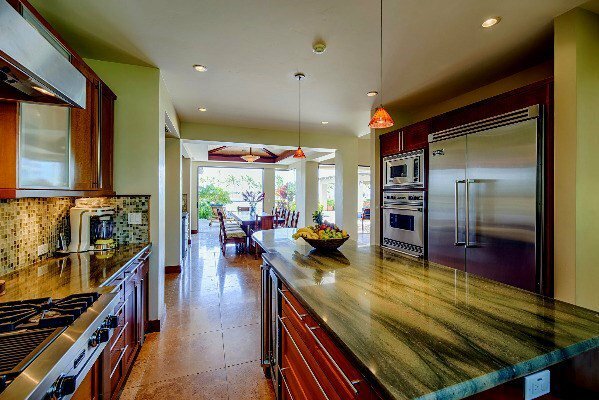 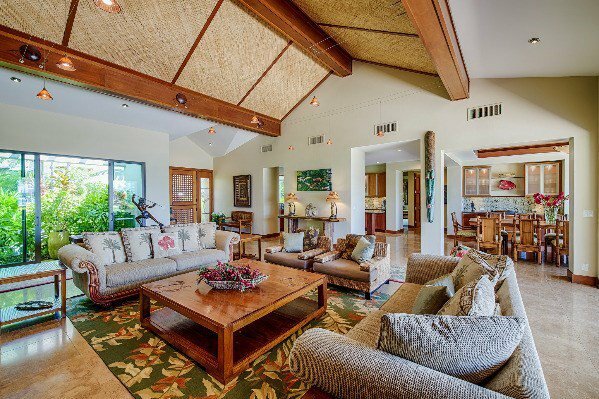 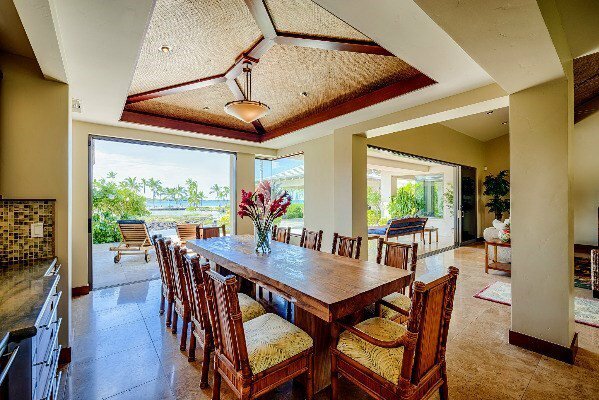 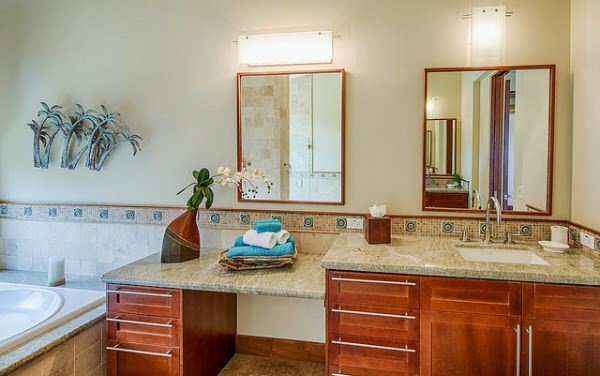 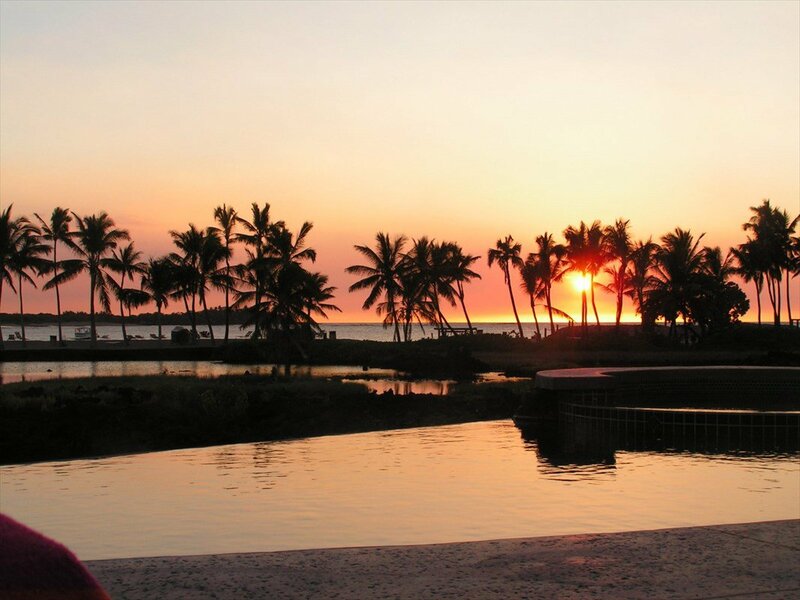 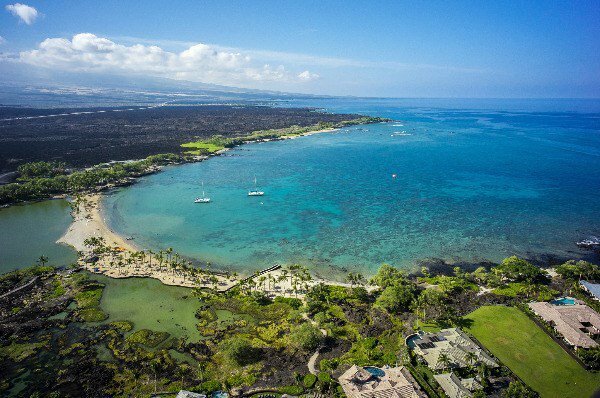 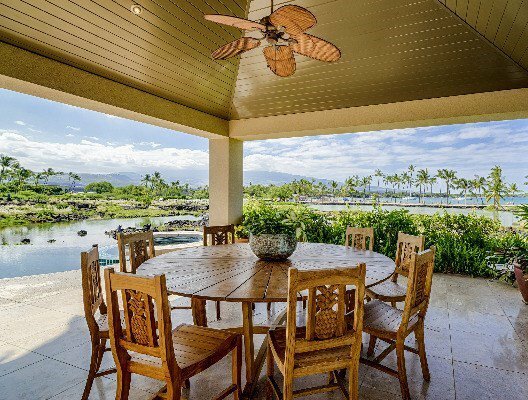 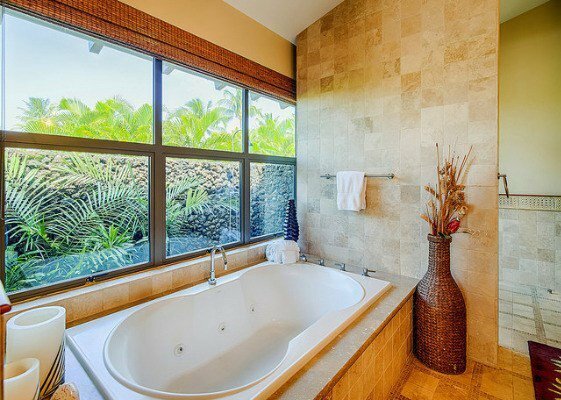 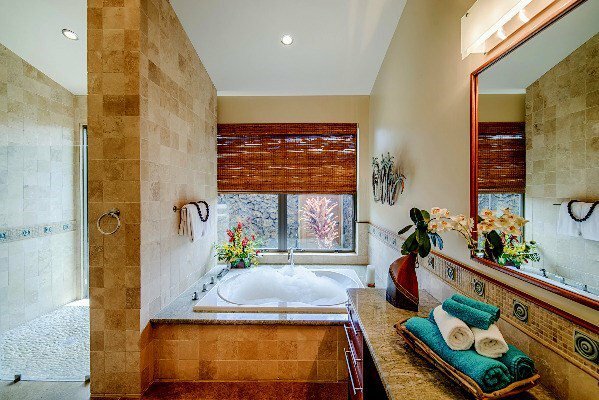 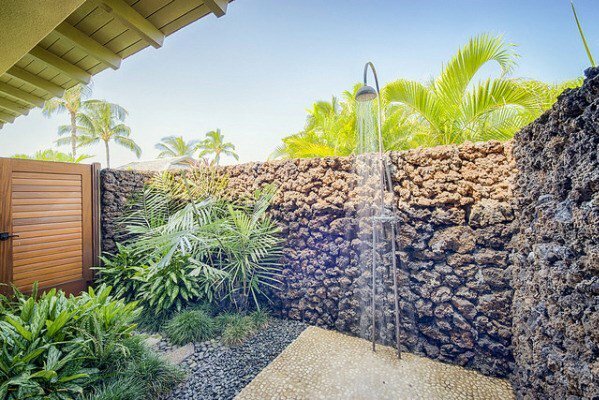 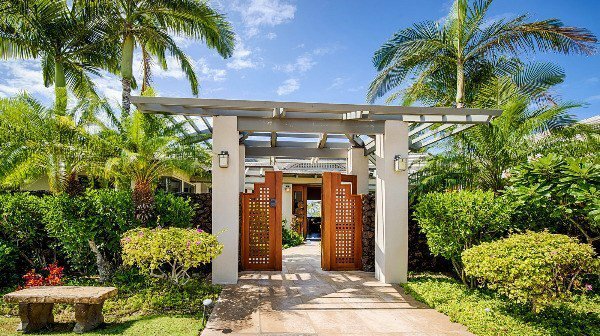 Hale Nanea “House of Tranquility” with unobstructed and direct views of the beach, this extraordinary waterfront luxury home located within a small gated community at Waikoloa Beach Resort offers a tranquil tropical haven. 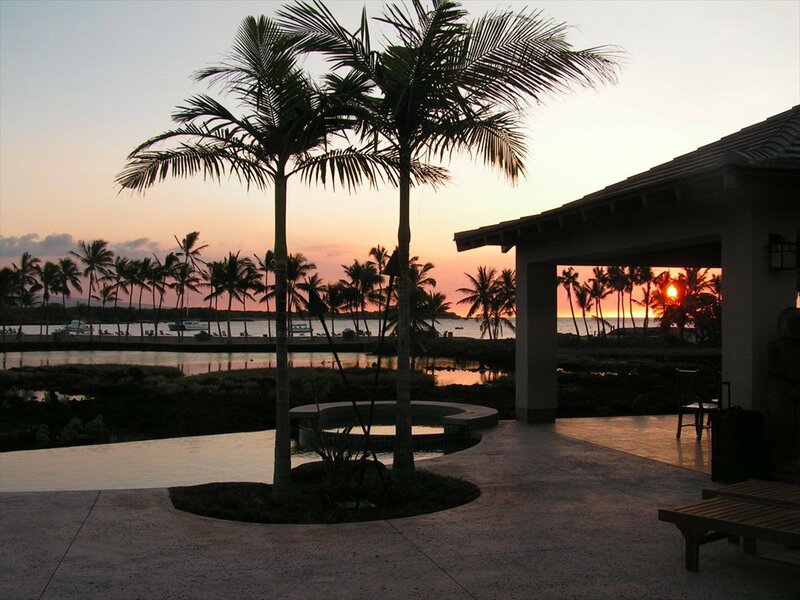 Perfectly located on Anaeho’omalu Bay “A-Bay”, with its white sand beach and calm waters beckons one to shed their stress, relax, and enjoy tropical breezes, sights and sounds! 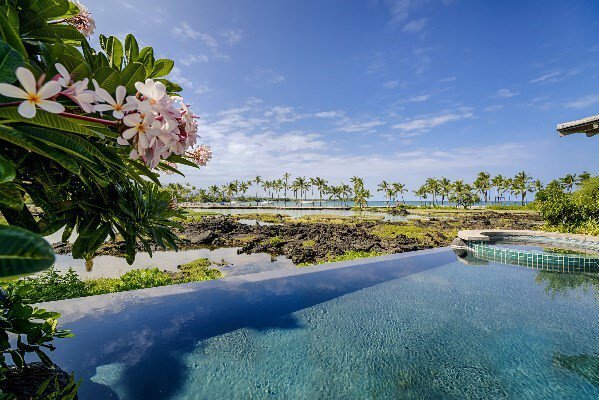 With irrefutably the best ocean frontage in Kolea. 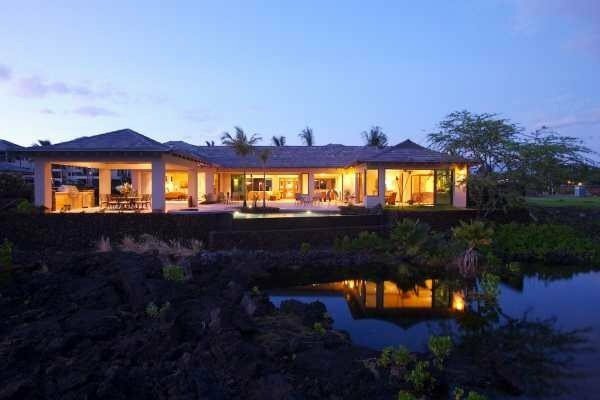 The home is surrounded by tall lava rock walls and mature landscape - providing complete privacy for over 4,500 square feet of air-conditioned living area and over a thousand square feet of deck where indoor-outdoor living come together gracefully. 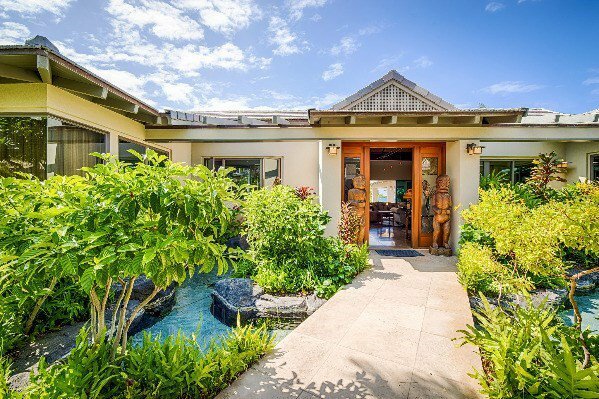 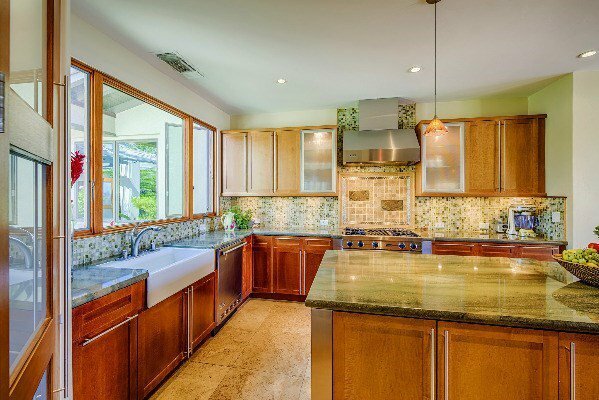 The beautiful island-themed home opens to a large lanai and spectacular unobstructed views of the beach and ocean. 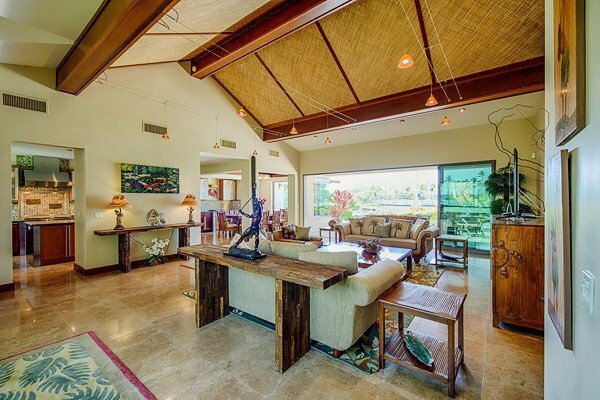 It’s spacious indoor living area, dining and kitchen area features Italian quarry tile floors and vaulted ceilings. 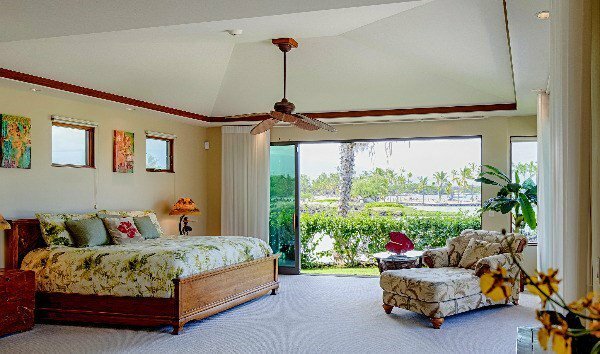 Five well-appointed bedrooms, including 2 spacious master suites which open onto the lanai. 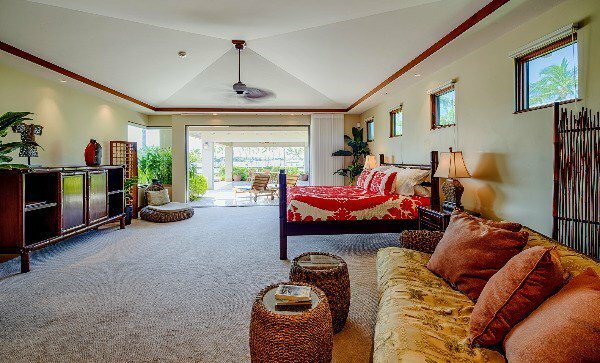 And the three guest bedrooms each with their own private bath. 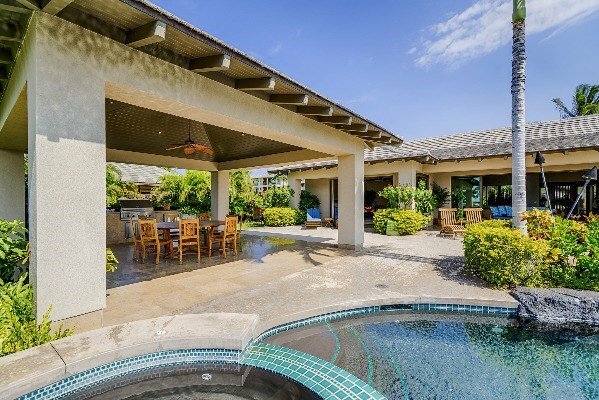 The oceanfront sliding glass walls throughout the home open to a large lanai and patio area that features a gazebo with built-in BBQ and outdoor refrigerator, all surrounding the infinity pool and spa to enjoy during the day or under the stars at night with the bay as your back drop. 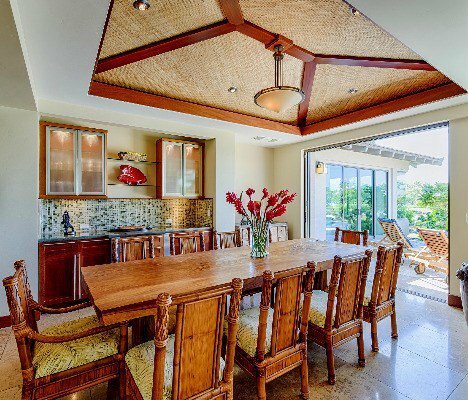 The home is currently a very successful vacation rental and is subject to existing bookings being honored. 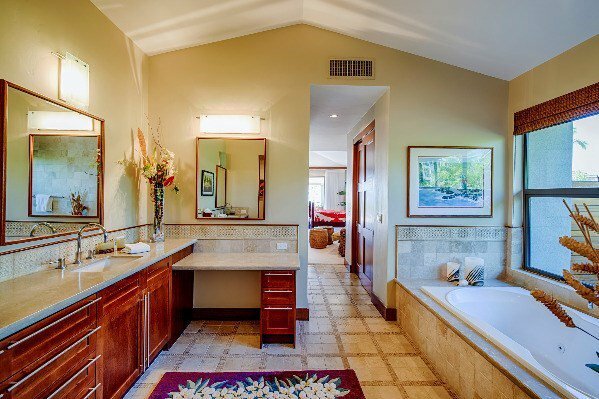 3D Tour available to explore this property!